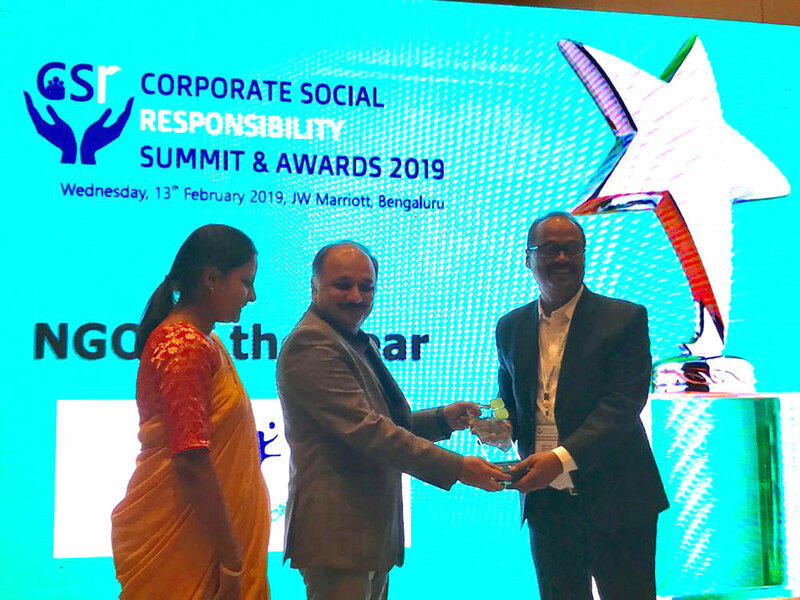 Kalinga Institute of Social Sciences (KISS) has been awarded as ‘NGO of the Year’ by UBS Forum at the 2nd Edition CSR Summit & Awards 2019 in Bengaluru on 13th February 2019. KISS was selected for its exemplary social service in education sector. Mihir Nayak and Sasmita Rout received the award on behalf of KISS. The NGO of the Year award is an independent and prestigious award given to professionally managed NGOs demonstrating its commitment to the causes undertaken and the trust reposed in it by corporate across India. Expressing satisfaction, Dr. Achyuta Samanta, Founder, KIIT & KISS said, it is a rare achievement made possible by the combined effort of staff, tribal community, students and well wishers.